Clear Leisure (AIM: CLP) is pleased to announce that it has established a new technology venture (“Newco”), supported by its largest shareholder, Eufingest SA (“Eufingest”). Initially, Newco will comprise two investments: the Company’s 4.53% interest in Geosim Systems Limited (“Geosim”), the 3D mapping company; and, a proposed Bitcoin mining blockchain data centre, further details of which are set out below. Newco, a wholly owned subsidiary of Clear Leisure, will seek to add other Information Technology (“IT”) focused businesses to its portfolio followed, in the longer term, by a possible stock market listing of Newco. Since the current Board was appointed in July 2015, it has sought to find the most beneficial way to monetise the Company’s assets. Shareholders will be aware that this has been a challenging task because of the need, in respect of some assets, to establish clear ownership whilst negotiating with, sometimes hostile, creditors. There has been no such issue with the Company’s 4.53% holding in GeoSim, the fair value of which is carried in Clear Leisure’s audited accounts, at 31 December 2016, at £634,000. Until now, however, there has been limited opportunities to crystalize the value of this non-core asset. An opportunity has now arisen for Clear Leisure, with Eufingest’s support, to participate in establishing a Bitcoin mining blockchain data centre in a UK incorporated joint venture company, Miner One Limited (“Miner One”). The Board believes that this will be an ideal asset to include in the proposed new technology venture. Clear Leisure has entered into a binding agreement with its joint venture partner, 64Bit Limited, (“64Bit”), a Malta data centre operator specialising in Bitcoin “mining” and powered by low-cost renewable energy. 64Bit’s CEO and founder is Mr Marco Mirra who has a long history of working in IT security and data management sectors. Mr Mirra has already successfully extracted tens of Bitcoins with his existing Bitcoin mining data-centres and has extensive experience in setting up and managing data-centres. Francesco Gardin, will represent Clear Leisure on the board of Miner One. He has extensive experience in the IT industry including lecturing for 30 years at Udine, Milan and Siena Universities in Italy, where he focused on Theory and Application of Computing Machines, the key to understanding the theory behind cryptography and blockchain technology. Professor Remo Pareschi, former head of Telecom Italia’s R&D department, professor of Computer Science at Molise University and co-founder of DLT Labs, a blockchain technology IBM partner, will be advising Miner One. 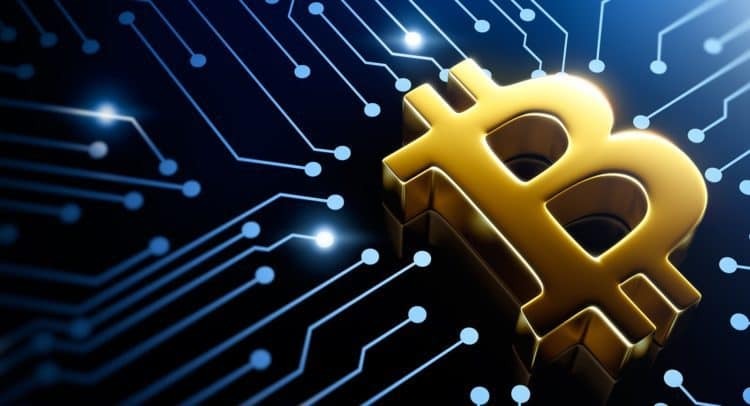 Bitcoin (“BTC” or ”XBT”) is the first computer generated decentralised “cryptocurrency”, which is powered by a public ledger, “the Bitcoin blockchain”, that records and validates all transactions chronologically. Bitcoin is thought to have been invented between 2008 and 2009, and released as an open-source software. Bitcoins can be created by the process of “Bitcoin mining”, which entails processing the so called proof-of-work system, running on specialised computers, called ‘miners’. Bitcoin mining is a computing and energy intensive activity where very fast specialised hardware and cheap energy can confer a material competitive advantage. The analogy with the term ‘mining’ is based on the uncertainty factor of how much energy and time is required, as with traditional resources mining operations. The projected capital cost of the envisaged data centre is €400,000, of which Clear Leisure will contribute €200,000 for a 50% interest in Miner One Ltd, which will be incorporated in the UK and operate via a wholly owned Malta subsidiary; however, the mining blockchain data centre will be located in a European country chosen for its very low electricity energy costs. The partners intend on entering a revenue sharing agreement with an identified supplier of low cost renewable energy. 64Bit will receive an additional 15% share of Bitcoins annually extracted in return for managing the data centre and making available proprietary “know how” on load balancing techniques and algorithms to achieve greater efficiency in the exploitation of the specialised mining hardware of the data centre. The joint venture partners project an extraction rate of about 20 Bitcoins per year at a cash break-even production cost of US$4,752 per coin compared to the current bitcoin price of approximately US$15,500. Actual Bitcoin recovery might be higher or lower than predicted depending upon mining difficulty, hardware effectiveness and actual energy consumption. Subject to prompt availability of best of class mining ASIC (Application Specific Integrated Circuit) hardware, the Bitcoin mining data centre is expected to become operational in Q1 2018. Eufingest has committed to lend to Clear Leisure €200,000 to fund the Company’s 50% share of the joint-venture’s mining data centre. Clear Leisure is investigating other sources of additional finance, including Eufingest’s direct participation, as well as third parties, with whom the Company is already in discussion. The loan will be secured with a charge on Newco’s shares, and is repayable within 24 months from the date of drawdown and carries an annual interest of 2.5%. Eufingest is the beneficial holder of more than 10 per cent of the ordinary share capital of the Company. Eufingest is therefore a “related party” for the purposes of the AIM Rules. The directors of the Company (each of whom is independent from Eufingest), having consulted with the Company’s nominated adviser, consider the terms of the transaction to be fair and reasonable insofar as shareholders are concerned. Eufingest, as the largest shareholder, remains fully supportive of the board’s efforts to realise value from its investments and fund new investments. “We have been looking now for some time at reorganising our portfolio of investments, and creating a technology venture vehicle to which we assign our 4.53% holding in GeoSim is the first step. We are seeking further opportunities to generate income whilst awaiting the results of the various legal actions engaged in Italy and in the UK, the outcomes of which could be lengthy and are uncertain as per any litigation. “This has led the Company into discussions with cryptocurrency experts and the Company believes that this proposed investment is an opportunity worth pursuing. We believe that the combination of cheap energy, available nowadays in certain European countries, combined with the software optimisation skills provided by 64Bit Limited, we can create a competitive edge to better exploit specialised Bitcoin mining and more in general the strategic blockchain technology, of which crypto currencies is one of the many applications.